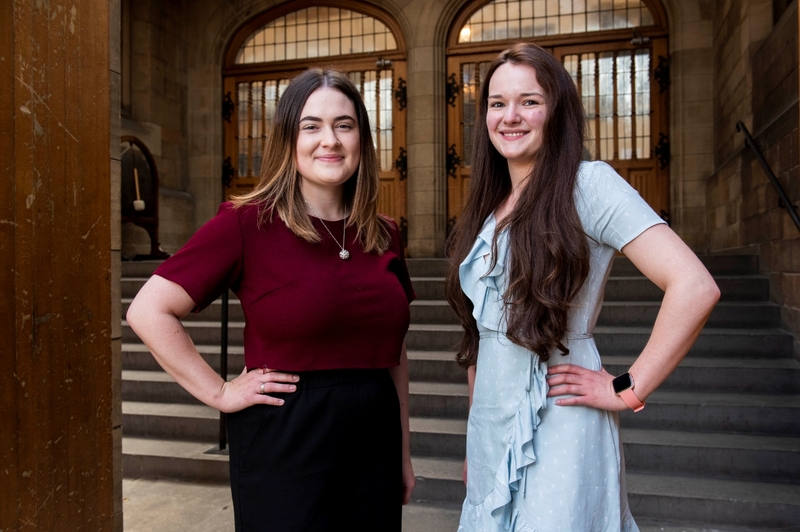 Tamsin Dingwall, Moderator of the National Youth Assembly, and her clerk, Seonaid Knox, are taking part in the Sleep in the Park event in Kelvingrove Park in Glasgow on December 8 and hope to raise at least £1,500. The pair are leading a group of 12 hardy young souls who are putting themselves in the shoes of rough sleepers to raise awareness of what the Kirk has described as a national scandal. NYA has raised £810 in the last seven-days via its campaign page that people can use to donate money. Rt Rev Susan Brown, Moderator of the General Assembly of the Church of Scotland, is taking part in the Sleep in the Park event in Edinburgh’s Princes Street Gardens. She said she hoped as many Kirk members as possible would attend Sleep in the Park events to raise awareness and money. The Moderator said she would appreciate the company as she sleeps out in the shadow of Edinburgh Castle. Miss Dingwall, 26, of Aberfoyle, Stirlingshire said: “Homelessness is something that has always been close to my heart, too many people close to me have found themselves homeless for many a reason and very few related to drugs. “The reality is that homelessness is just round the corner, it only takes three months of misfortune and it could so easily be you, no matter how rich you are. “Money is fluid and by participating in Sleep in the Park I hope to make the people realise that this is an issue for all of us. 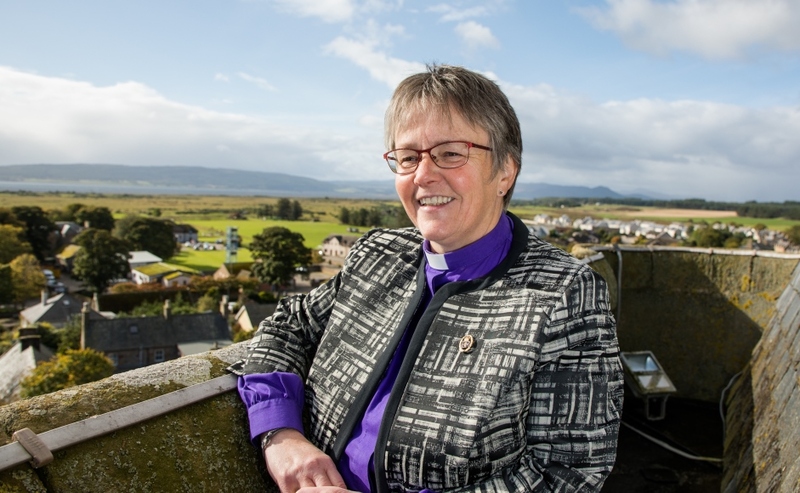 Miss Dingwall belongs to Aberfoyle Parish Church in Stirlingshire and is a youth worker at Callander Kirk. Miss Knox, 24, an elder at St John’s Church in Gourock, admits that she “does not enjoy camping in the slightest” but was putting her personal feelings to one side for a good cause. 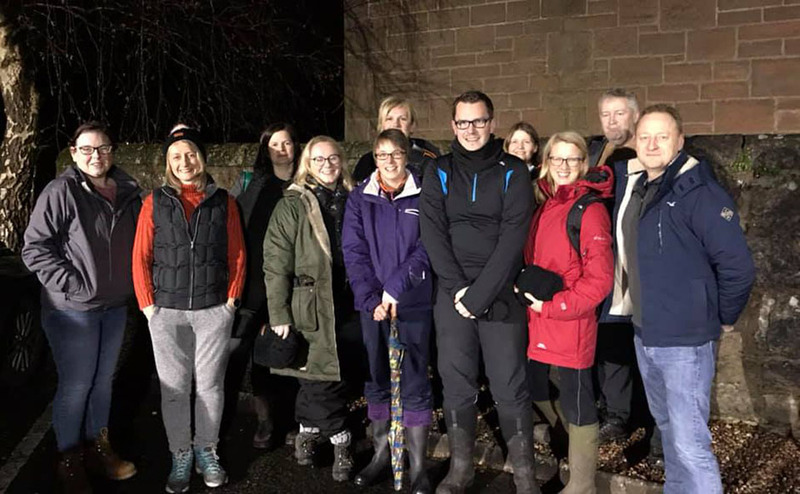 "At Christmas, it’s easy to get bogged down with all the preparations so that is why I’m hoping to do my bit for those less fortunate than myself by taking part in Sleep in the Park,” she added. "Between 12 of us, we’re aiming to raise at least £1,500 to help end homelessness in Scotland. “Some people think we’re really brave for sleeping outside in December but the reality is that it’s only for one night and come Sunday morning we can return to our warm homes. 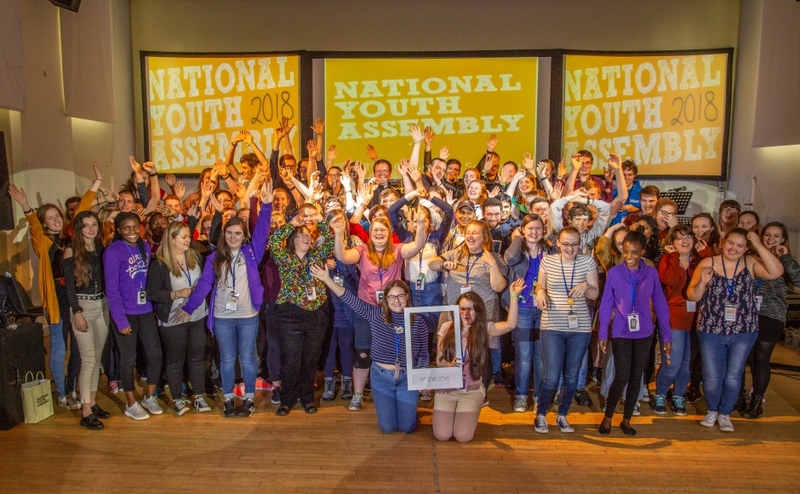 NYA Moderator Tamsin Dingwall, Clerk Seonaid Knox and NYA members. Miss Knox, who works as a parliamentary researcher to an SNP MSP, said she was planning to take a hot water bottle with her but part of her wanted to ditch it because it is an item homeless people generally don’t have. “Some of the group are sleeping out in Glasgow while others are in Edinburgh,” she added. “So as well as communicating with each other, we’re hoping to keep busy on social media to raise awareness of the event and most importantly, to raise as much money as possible. “Money unfortunately can’t eradicate homelessness on its own - we need policy-makers on board to tackle this. Mrs Brown said: "No one chooses to sleep out, not anyone who has to do it night after night in freezing, wet and wild conditions. "The fact that so many do, hints at the chaotic lives some people have to cope with for many different reasons – often not entirely of their own making. "But the presence of these people of all ages on our streets hints at something else. 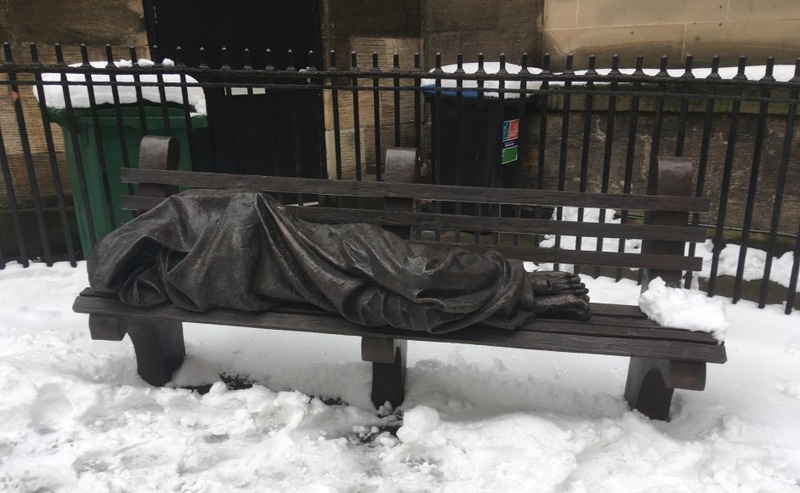 "It points to a 21st Century Scotland that in its policies, structures and provisions, doesn’t always manage to care for the most vulnerable in our midst." Mrs Brown said many working families need foodbanks and young people are finding it increasingly difficult to get full-time work with reasonable contracts that might lead to them getting the credit ratings they need to rent or to buy a house. "Life is hard for so many," she added. "My sleeping out is not going to rock the world, but it does say that I don’t want people to be left without the help and the support they need. "Why not consider joining me? "Let’s create meeting up points in each of the sleep out venues. "Are you up for it? "I’ll need all the company I can get to keep me warm." Hundreds of Kirk members are expected to be bedding down for the night in the four locations across Scotland where the event is taking place – Aberdeen, Glasgow, Dundee and Edinburgh. Last year, 8,000 people joined the world’s largest sleep out in Princes St Gardens to raise £4 Million and call for an end to homelessness in Scotland. This has caused a sea change in the fight against homelessness and funded a raft of major projects.